Marriage means a lot to many people, which is why they go through the sometimes-arduous process and work through turmoil to receive a marriage. However, there are some events that can make you ask if you have a valid marriage or not. This becomes especially important in times where you may believe that you will be able to easily obtain an annulment or you are thinking about going through the divorce process. Valid Marriage: Do I Have One? Somebody signed for me, but they weren’t my legal guardian – is it valid? If you were underage at the time of your wedding, you had to have a legal guardian (usually a parent) sign for you. If consent was required and somebody signed for you but they were not a guardian, there is a possibility that you are not actually legally married. 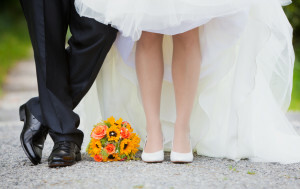 Will a misspelling on the marriage license make my marriage void? Usually a minor misspelling will not make your marriage invalid. You will have to go through with an annulment or divorce if you want to end the marriage, in this case. If I was married before I was divorced from my previous marriage, is it a valid marriage? Let’s say that you were married before your divorce or the other person’s divorce was finalized. You do not have a legal marriage if you or your spouse were married to anybody else at the same time. They would have to complete the divorce process, and then you would receive a valid marriage. There are many aspects that set a marriage apart from an invalid marriage. If you believe that you might not legally be married and now you are looking into divorce, this could make the process easier for you. This is why you want to seek the help of an experienced attorney in your time of need. Call us for more information.